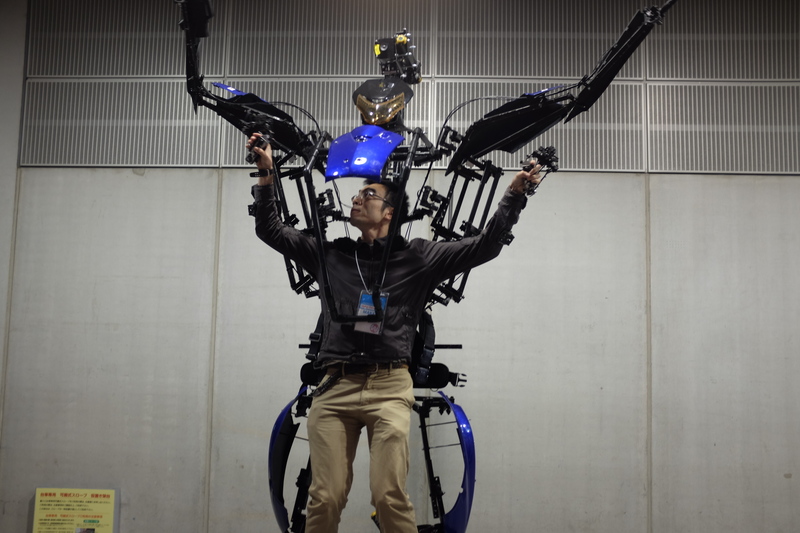 There was so much to see at the Maker Faire Tokyo. Over 300 Maker exhibits filled a hall at the Tokyo Big Sight event center and nearly 13,000 people came to meet makers and participate in the second annual Maker Faire in Tokyo, organized by O’Reilly Japan, which produces Make Magazine in Japanese. I shot a bunch of short videos and photos and compiled them into a movie that gives you some of the flavor of the event. I hope you can see what makes Maker Faire Tokyo special are the Japanese makers. They combine technical skill with a very playful mindset that I find engaging and fun.